Two new books for me this week! I am so excited to finally have a finished copy of Anna Dressed in Blood. That book is insanely awesome. I haven't read the series by Veronica Wolff, but I'm looking forward to checking it out! And now, here is the winner for the Once Upon a Read-a-Thon Giveaway that I held earlier this week. Congratulations Ash @ Typing Tiara! Check your email, and please send back your contact info! I hope that everyone had an awesome time doing the read-a-thon! I think I have the first one in that vampire series...but I haven't read it. Looks interesting, though. *squees* Anna looks so darn good. I'll be getting it next week, hopefully! I know I'm late to the party but it's finally being published in Australia ;) Blood Fever looks great! Happy reading! I got Blood Fever too...I haven't read them either. :) Enjoy! Total envy over Blood Fever! Cannot wait to read that one! Just a few more weeks! 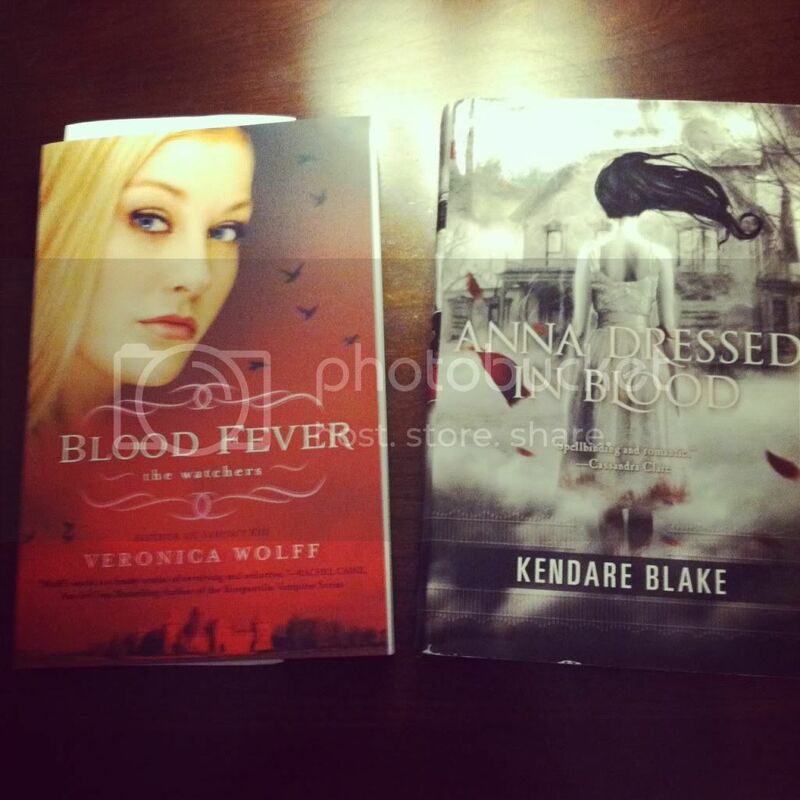 I have Anna Dressed in Blood as my next to read novel! Hope you enjoy your fab reads! I also got Blood Fever, but I haven't read the first book in the series! I need to get caught up! Enjoy all of your books! Oh God, You received Blood Fever! I keep forgetting to read more of this author, although I really liked the first book :) Awesome haul! Anna Dressed in Blood! I really must get a copy soon. Heard lots of great things about it.